Deciding to buy all of your Lexmark E250-dn toner with Cartridge Save makes it possible for you to begin saving plenty of money and time. Thanks to our competitive pricing as well as our low price promise you'll be confident of getting the best bargain on your Lexmark E250 dn toners. On top of that, Cartridge Save only ever give you Lexmark E250dn toner cartridges that are high quality as well as cheap so why be satisfied with anything less? 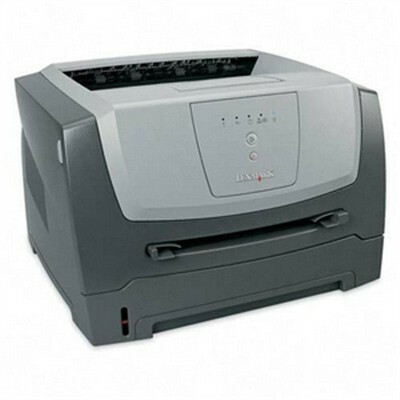 Find Great Deals Today On Lexmark E250 dn Toners! You will have fast and free delivery for Lexmark toner. The cost-effective Lexmark E250dn toner may be ordered online at our checkout page so don't miss the opportunity and make your purchase today for the chance to save money. However, you are able to order a discount priced Lexmark E250-dn toner just by phoning the orders line. Remember that Lexmark E250 dn laser printer cartridges dispatched by us are also guarded with our guarantee in the unlikely event that you're unhappy with a flawed cartridge. To get the best offer on Lexmark E250dn toners order right now from Cartridge Save. With so many different printers available for home usage and small offices, it can be difficult to determine which is the best choice for your personal needs. The Lexmark E250dn has been optimised for small environments. This laser printer is capable of performing all of the jobs that you would normally expect from such a machine, handling text and image printing with ease. It can be attached to a home network in order to enable printing features from your personal computer over the network. The design of the Lexmark E250dn toner printer is not the most modern or sophisticated of all of the market's currently available printers, but it is sufficient both in terms of style and functionality. The printer is on the larger side and resembles a stout black box. Paper is inserted into the machine through a slide-out tray, and it is fed out through a thin slot on the printer's front face. The tray is designed to hold roughly 250 sheets of paper, although owners of the Lexmark E250dn can purchase an extension that expands this capacity to about 800 sheets. The tray also possesses a pull-out feature which enables it to hold extra-large documents. A basic control panel featuring a smattering of buttons and lights is located directly above the output slot. Home owners are unlikely to find a better printer than the Lexmark E250dn for the price. This printer is able to produce remarkably high-quality documents with its refined technology, yet the machine remains towards the bottom end of its price bracket. The Lexmark E250dn's monochrome laser technology can produce incredibly precise images and text printings that are usually encountered only in very expensive machines. If you wish to purchase a machine that will yield excellent printouts without taking too much of a toll on your wallet, then the Lexmark E250dn might be the ideal choice for you. Changing Lexmark E250dn toners won't take long either thanks to the easy access. The primary disadvantage of the Lexmark E250dn would be its lack of an external LCD screen. Navigating through the printer's various features can be somewhat difficult when you only have the very basic control panel to guide you through its capabilities. Furthermore, the machine is relatively slow when printing text documents. Some people find this to be quite frustrating, especially when they only need a simple document printed.